Many of our exclusive sofa ranges are also available in a relaxing recliner sofa option. For ultimate comfort, try a power recliner and fully recline at the touch of a button, even when just 10cm from the wall. Choose from fabric or leather recliner sofas, with a choice of compact or oversized for complete cosy comfort. 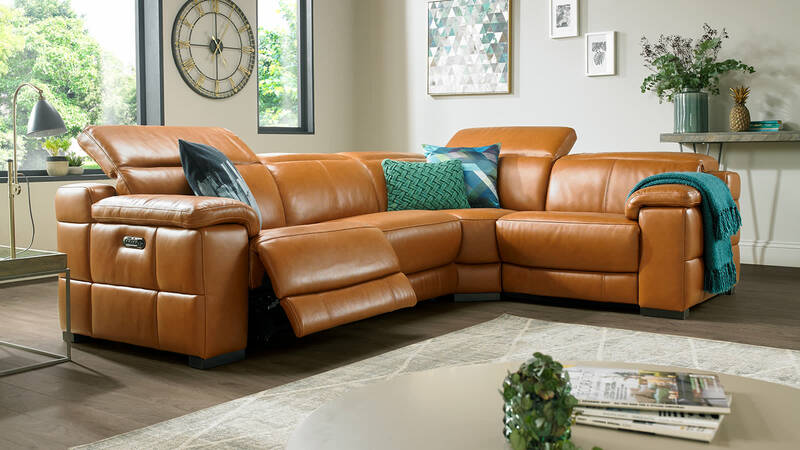 Choose from fabric or leather recliner sofas, with a choice of compact or oversized for complete cosy comfort.